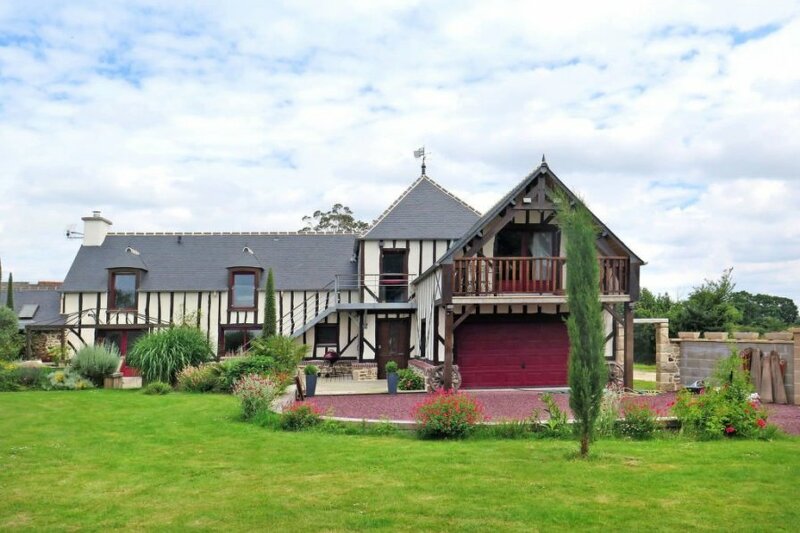 This 2 bedroom apartment is located in Planguenoual and sleeps 5 people. It has WiFi. The apartment is near a beach. Apartment, 4 - 5 people, 3 room/s, 2 bedroom/s, 1 bathroom/s, approximately 60 m², 1 floor/s, apartment on floor 1, renovated 2016, access to the property via external stairs. Furnishing: good, pleasing, tiled floor. Equipment: satellite TV; internet access Wi-Fi (included); washing machine, iron/ironing board; heat pump heating system. Heating if required, € 30/​week. Final cleaning by tenants or against payment, € 50. Holiday resort tax. Linen/towels must be brought along. Bed linen available on loan, € 10 per bed/​change (on order). Deposit € 300 (in cash). Cot/​High chair free of charge (on order). Pet not allowed. Situation: in the district Glolais. Access/parking: 2 x parking on the estate; 2 x parking on the road near the house. Estate (private use): approximately 1000 m² (whole estate 6600 m²) , closed plot (fence, hedge, electric entrance gate), trees, with plants, well-kept, garden, lawn, gravel. Plot description: terrace (protected from wind), balcony (roofed, protected from wind), further balcony, furnishing provided, 4 sun loungers, transportable barbecue, brick barbecue. The agent describes this apartment as an ideal holiday rental for the summer holidays. It is also good value for money. This apartment is located in Planguenoual. The nearest airport is only 40km away. It is set in a very convenient location, just 0 metres away from a beach and only 1km away from the city center. The apartment has free wireless internet. The apartment is adequately equipped: it has a dishwasher and a washing machine. It also has a BBQ.